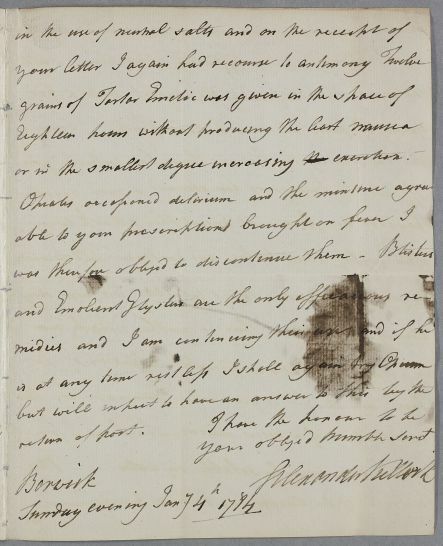 Letter from Alexander Kellock, concerning the case of Mr Watson Carr. 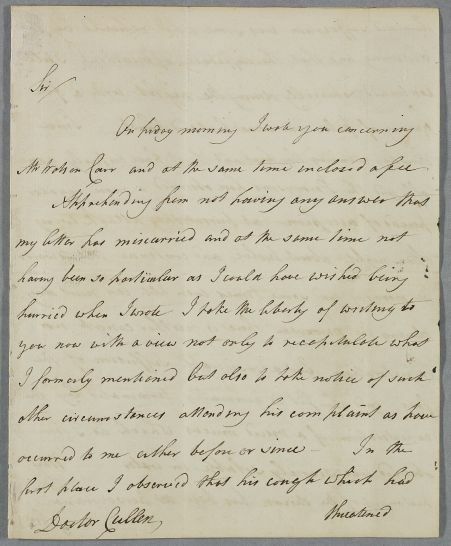 As Kellock fears Cullen's reply has miscarried, he recapitulates the content of his initial letter and supplies and includes further observations he has made regarding Carr's condition. 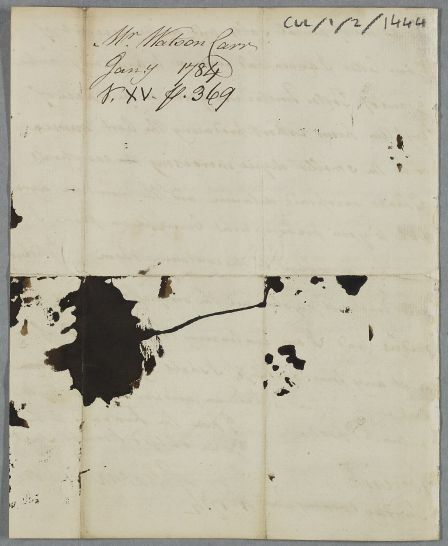 Summary Letter from Alexander Kellock, concerning the case of Mr Watson Carr. 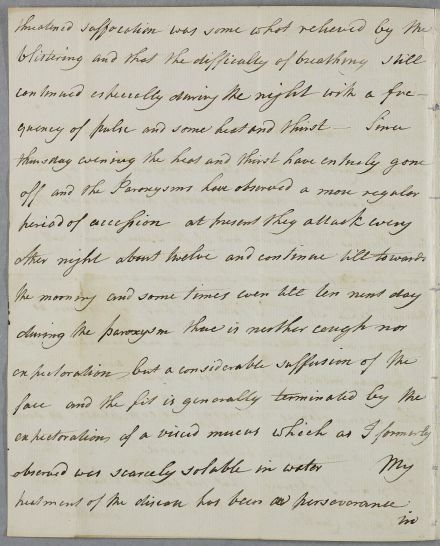 As Kellock fears Cullen's reply has miscarried, he recapitulates the content of his initial letter and supplies and includes further observations he has made regarding Carr's condition. Case of Mr Watson Carr who has asthma. or in the smallest degree encreasing the excretion.